AWESOME Online Courses - We come to YOU! Where Successful Facilitators are Born! Yes! We have an Online Equine Assisted Theory course for those who have a passion to work with horses and want to help people through the power of the horse with objectively driven programs and in a completely different way. Want to learn more about how the horse is the ‘teacher’, then this is the course for you! This is a great beginning to understanding the theory before your 5 day certified course. 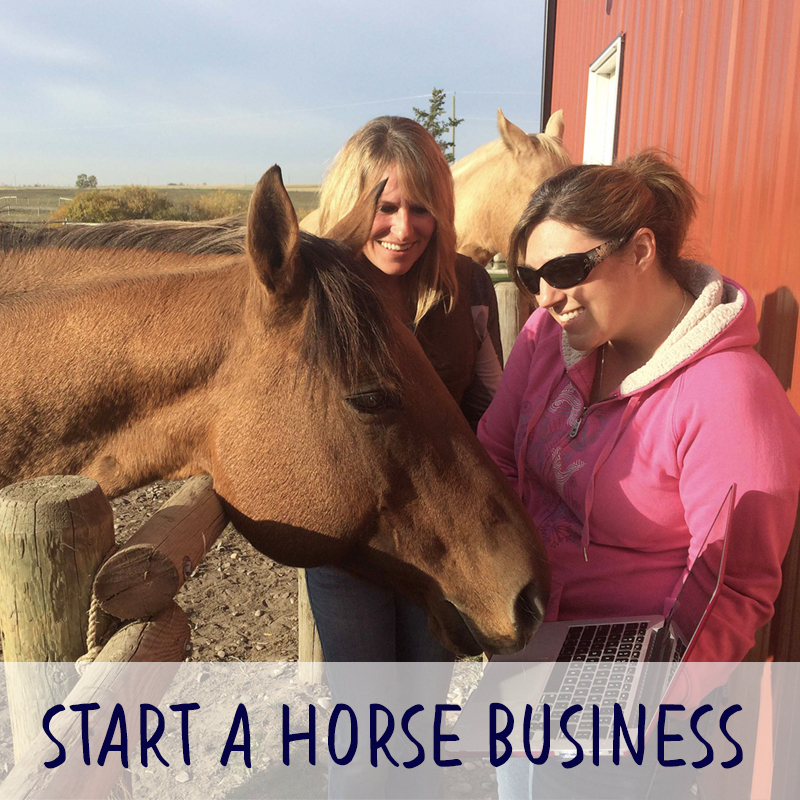 Get started with your Equine Online Studies. This is a way for you to keep working towards your goals/dreams and learn the theory behind Equine Assisted Learning BuildingBlock™. The online equine course will help you learn the theory portion of the extensive equine assisted learning business course. Then you can move on to the Hands On Learning portion to complete your hands on training when you are ready. 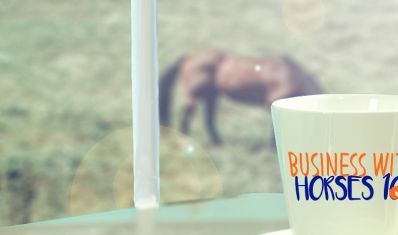 All the business tools you need to succeed in the equine industry delivered by the Equine Connection - The Academy of Equine Assisted Learning Inc.
$2997 (CDN) + GST 5%. A $1000 deposit gets you started! If you are waiting for the perfect time to seize this opportunity, the time is NOW! Your dream careers starts with one click! You set the time to do your studies in your life. Your journey begins once you click the button. What does the Online Theory Course cover? How to ‘Facilitate vs Teach’. 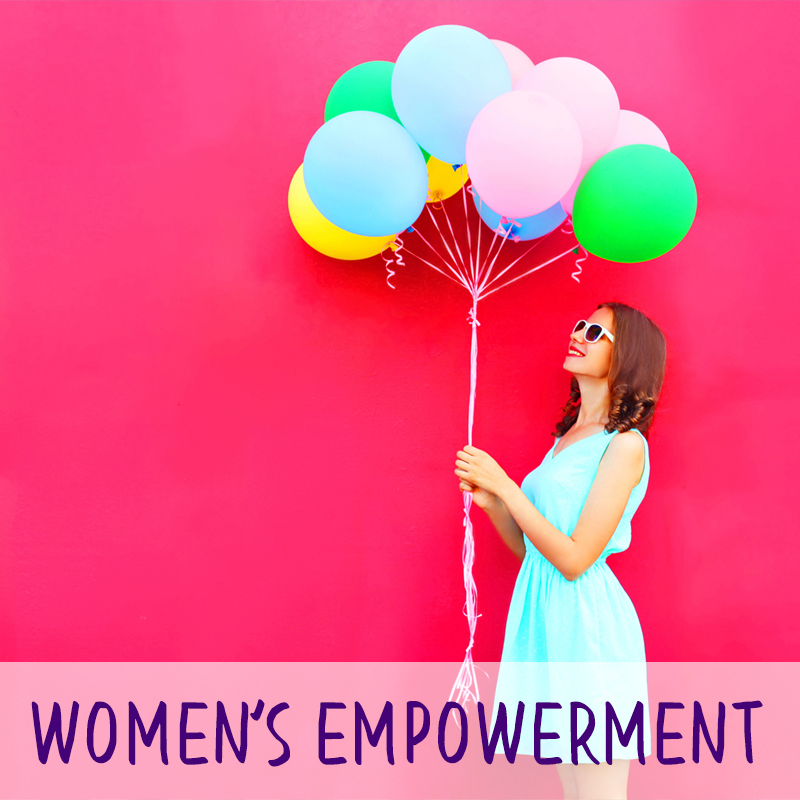 Facilitating empowers individuals. Herd Rules, Understanding Herd Behaviour. How People Learn through research already tested. It is All about the Horse. When they speak, we step in. Managing the conflict that occurs through client groups. How these objectively driven programs get to the result for your clients. How to work with happy horses in a more natural state so they are the teachers. How to facilitate through the teachable moments horses create for us. Online training to prepare you for your hands-on learning and to increase your familiarity with the theory and structure behind the BuildingBlock™ course and its delivery. 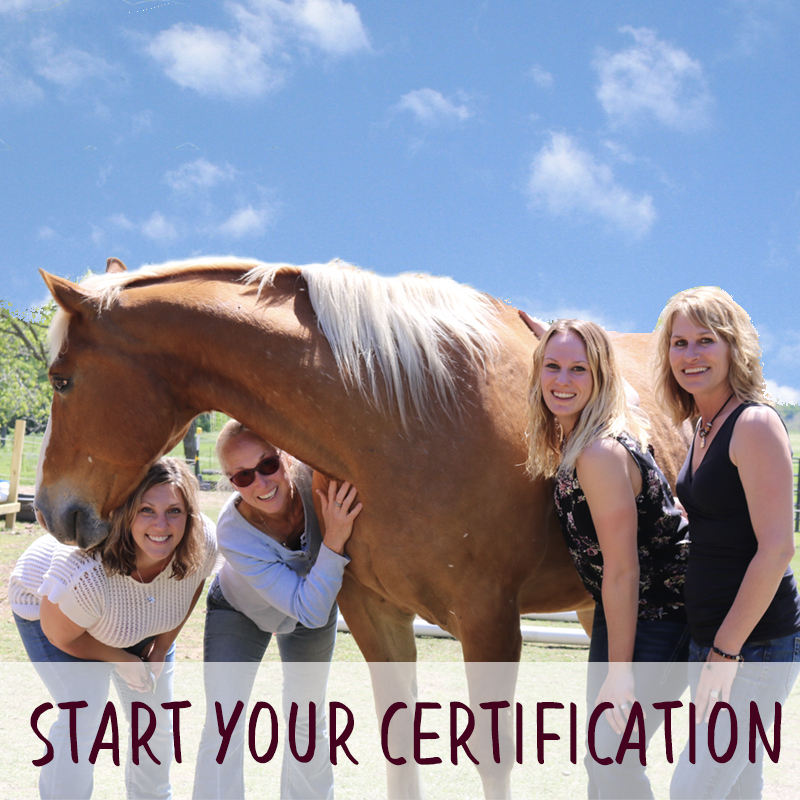 This is a 15 week online training of theory which will prepare you for your next step of becoming an Equine Assisted Certification Facilitator. This is done at your own pace in the comfort of your own home. Learn all the theory behind Equine Assisted Learning, and how all the programs work in this BuildingBlock™ course. The designer of these amazing programs took all that’s been researched on how human beings learn, and all the research that’s been done on wild horses, and brought the two together to create experiential learning programs. These programs are designed to help human beings learn and understand the changes that they need to make within themselves. 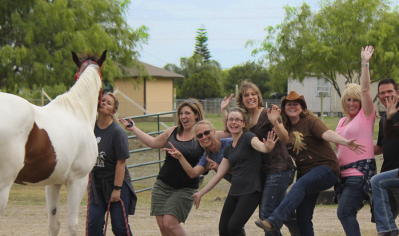 Equine Assisted Learning works, because it's not the people that are the teachers, it's the horses! 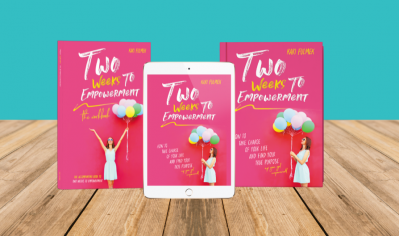 This online theory is FREE when you purchase and pay in full for your 5-day certified course PLUS you get the over 50 training video's for how to work your programs after the course. It's a savings to purchase altogether and then you can choose your course for the hands on training in the future. PLEASE NOTE: This is not a certification - you must complete the Hands On Training to be certified. Online course starts as soon as you click the button below. When you are ready to begin your next journey in becoming a Certified Facilitator, you can pick which school location you would like to attend and then contact us and we can get you registered. Note: It is more affordable to complete and attend one of the certified 5-day courses in your area if you are able. If you can only do it one step at a time, this is a solid way to get your horse career moving forward. Where successful Certified Facilitators are born! We are not successful until YOU are! You will know what to do with your certification. This business is all about working with our horses in understanding them and keeping not only them safe and happy, but our clients too. 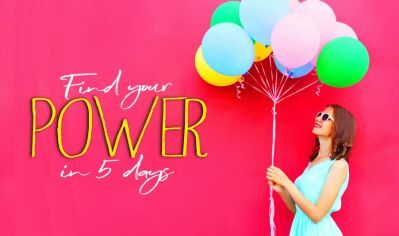 Find your POWER in 5 days! FREE ONLINE!